There’s a new kid on the block in the world of flat pedal footwear. Ride Concepts is launching its session series of shoes November 30th. The Session series will be available in four different models for Men, Women and Youth. It looks like Ride Concepts’ offering will line up squarely against a market dominated by FiveTen. The Session shoe series starts with a standard flat shoe, the Livewire. It’s followed up by a hightop design, the Wildcat and is rounded out by a more hardened shoe, the Hellion and a sandal, the Coaster. On each of these shoes, Ride Concepts has teamed up with Rubber Kinetics to create rubber compounds for the tread. 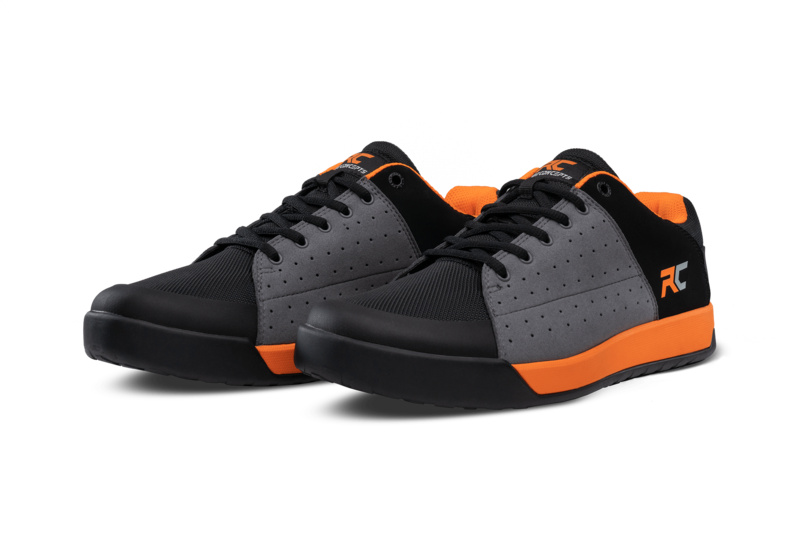 The shoes have been designed with the strikes and impacts that mountain bikers experience on the trail in mind. In another collaboration, Ride Concepts has teamed up with D3O, a design and technology company that makes high performance impact protection products. The shoes feature, D3O High Impact Zone Insole Technology along with custom molded toe and heel guard protection.